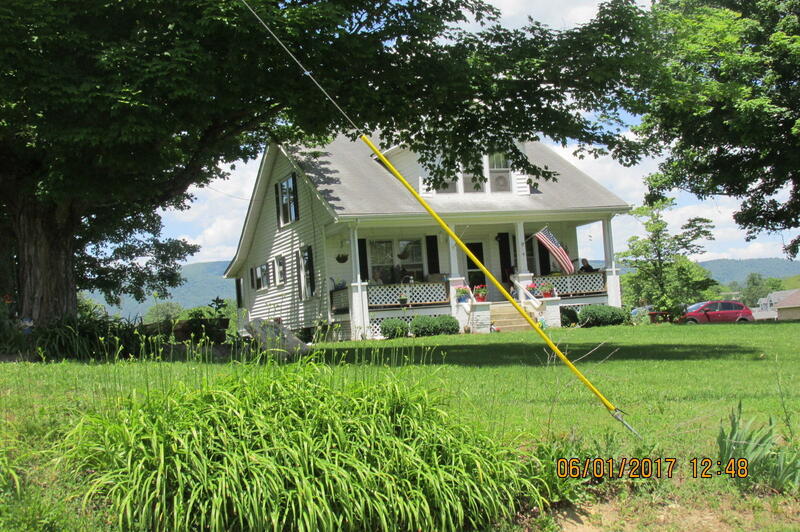 Classic clean older home in a very nice setting, Wolf Creek District, Monroe County side of Alderson, WV. Hardwood floors, wide natural trim. Formal dining room, living room with fireplace, main bedroom, bath, kitchen on main level, two more bedrooms plus a bonus play room upstairs and a half bath. Full unfinished basement, city water, grassy yard with mature trees. Outbuildings for workshop or storage. Covered porch across the front to sit and relax, set back from the road.